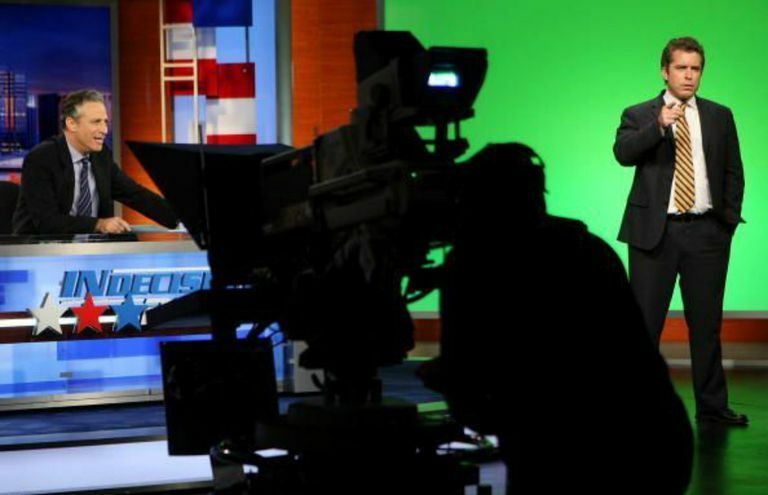 If you read our How To guide on starting your own talk show and have decided the wild west of the world wide web is where you’d like to launch your version of The Tonight Show or The Daily Show, here are a few tips and tricks to help you get your show off the ground and on the web. The first step? See if you have what it takes. Before you get any fancy ideas of becoming the next best thing since Zach Galifianakis bought two ferns and invited the President of the United States to sit between them, you need to do some introspection and determine whether you have what it takes to be a talk show host. That means more than having the charisma to be a charming host and the comic timing to slay ‘em in the seats. It’s understanding your broadcast medium. What it takes to be successful in television – or in this case, on the Internet. This foundational knowledge of the craft will allow you to create a show that reaches beyond video plays on YouTube. And can lead to bigger and better things. This carries over from that big fluffy sentence in the last paragraph of the previous section. All that stuff about “foundational knowledge of the craft.” What we mean by this is take some classes in video and television production. 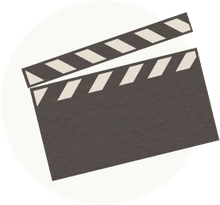 These days, production classes are available at nearly any community college and there likely are tons of private classes at camera rental facilities, public access television networks – even online. This base knowledge of how to construct a show, design a set, pace the program, set your cameras, light the guests and so forth will allow you to build something that’s both unique to your sensibilities and professional to anyone who discovers it. You know you’ve got the chops, you understand how to produce your dream, now just develop the idea. And in this instance, let’s have that mean the entire show. Everything we cover in How To Start Your Own Talk Show. What the format will be, who the guests will be, if it’s traditional or if it’s something entirely new and different. Once you have all those pieces together, it’s time to start fitting the format into something that will play well on the web. Which brings us to step two: Getting ready for the web. If you choose to produce a talk show that follows a traditional format of various guests and topics, more than likely, your show will get lost in the clutter. Viewers of online talk shows tend to consume video content the same way they consume podcasts or blogs or other online content: specific to their specialized interests. Comic book fans might watch Pete’s Basement, for example. If you do decide to be more general, consider producing episodes with specific themes. Table Talk does a great job of this. Each episode has a specific theme, like time travel or worst food experience or 90s TV. Table Talk often includes a few topics per show, to give it variety, but these specific topics help viewers find their content. Whether it’s YouTube, Vimeo or your own personalized website – even Facebook, Vine or Twitter – decide where you’ll host your show. And by that, we mean plant a flag in the ground and call all your followers there. While you’ll likely want to post your show in several places and share links on social media, you want to give viewers a place they can always find you. A home base, if you will, where they can learn about upcoming shows, guests and so forth. And if the task of publishing your latest episode on two dozen different video platforms seems daunting, no worries there. Sites like TubeMogul can help you distribute your show across the web. For a lot of people, this may be the biggest hurdle. To produce a talk show, you have to know how to get that idea from page to set to screen. The screen part means picking the right video equipment and knowing exactly how to use it. Sure, you’ll become an expert as you go, but you have to get over the beginner phase if you want to produce something people are going to watch. That’s where a few classes at your local community college, public access station, computer store, or broadcast school will help you show off the best of what you’ve got. Finally, let’s get that show on the air. We won’t get into how to produce your show in this column, but we will tell you this: make sure you get a fair number shot, edited and ready to post before you start marketing your program. Remember, you’re gonna have a nine-to-five job while you’re trying to launch your talk show, so having a broadcast plan is imperative. If your show is going to broadcast weekly, consider film one or two months worth of evergreen shows – programs with guests whose expert advice is good any day of the week – to help you keep up with your promised schedule. That way, you can miss a week or two and still have something to show. Once the show is up and running, you’re going to want to attract an audience. You can do that the old fashioned way – online ads wherever you believe your audience is hiding – but you’re nowhere without social. Plan on running, at a bare minimum, a Twitter and Facebook page. There you can regularly chat with your fans, followers and audience members. Also, join forums and follow blogs, opening a dialogue with the blog owners and forum regulars in order to build a stronger following. Successful online shows keep a regular schedule. They also provide a steady stream of information to their fans and followers. As soon as you post a show, get out and promote it. And while you’re doing that, get to work on the next episode. Your fans are waiting! Okay, one last step back into reality. Even if you produce a high-quality, educational and entertaining talk show, the chance it will sweep the nation and you'll quit your day job are incredibly slim. So if you're in it for that - welllll, you might want to consider another goal. But if you're in it because you're passionate about your idea and you don't care if you ever make a penny? Well, then, sit back, relax and have fun! And we'll have fun watching.